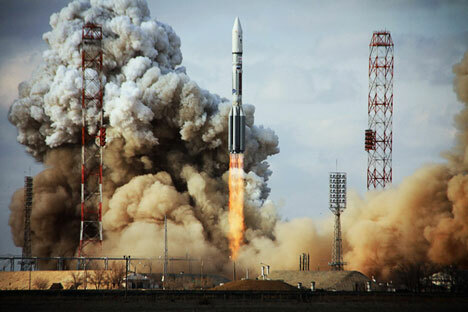 Russian space technology can help boost the economic development of China, Mexico, and Africa. Emerging countries need space services that could help their economies grow, said representatives of China, Mexico, and Africa at a conference held on October 27 at the People’s Friendship University in Russia (RUDN). Mexican Ambassador to Russia, Ruben Beltran, said his country escaped the worst of Hurricane Patricia primarily because the government had been warned of the coming disaster. Zhang Yuan, the representative of China's National Space Administration, added that Asia needs space instruments for its economic development. Still, one of the main problems for developing nations is the lack of specialists in the space industry. This year, RUDN and the Russian Central Research Institute for Machine Building (TsNIIMash) set up a mission control training center. “We carry out here on Earth the biological experiments of the International Space Station,” Maxim Matyushin, deputy director at TsNIIMash and chief of the mission control center, told RBTH. He added that there are plans to create similar joint projects with foreign universities.